County Map of Nova Scotia, New Brunswick, Cape Breton Is. And Pr. Edward's Id. Mitchell's New General Atlas 1877 edition. Very good. 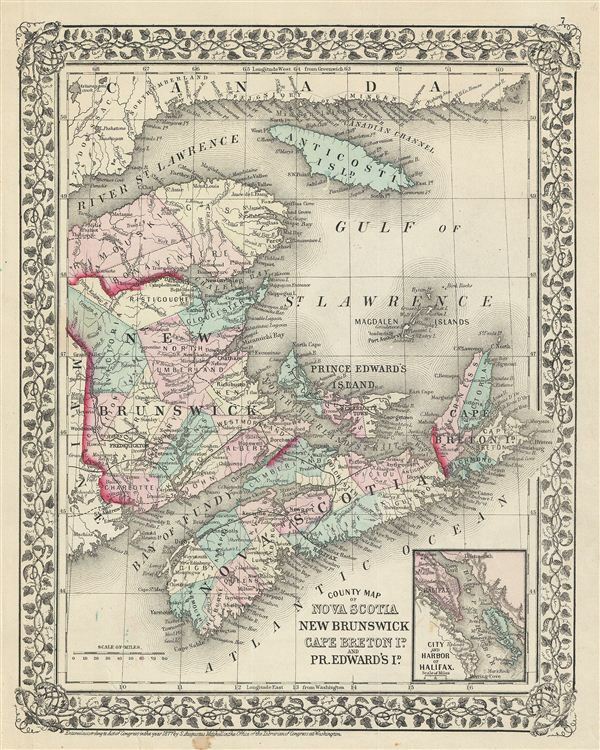 Map of Quebec on verso. Minor foxing near bottom margin.